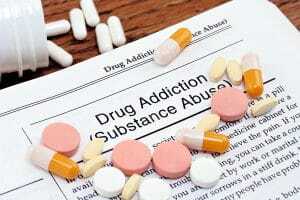 Substance abuse disorders affect millions of individuals. There is a need for trained clinicians to work with individuals struggling with alcohol and drugs. Addiction counseling can be one of the most challenging and rewarding fields of specialty. The nature of addiction, recovery, and continued sobriety is life-altering. Just because there are many drug and alcohol addiction treatment centers offering services, doesn’t mean there aren’t difficulties seeking treatment. Here are a few common barriers that clients face when seeking addiction counseling. A potential client may be worried that their therapist may judge them for their struggle with addiction. A client may minimize or deny substance use due to fear that their clinician will judge them. Clinicians can benefit from continued education and certification in the field of addiction counseling to provide the best care for their clients. A barrier that some clients face is clinicians that don’t assess for substance abuse issues. A client may seek counseling and worry about disclosing their use. If the clinician doesn’t assess substance use with every client, they may miss the need to address this issue. A client’s symptoms of alcohol or drug withdrawal can look similar to a mental health disorder. Many clients have heard a loved one say to them ‘just stop using’ drugs and alcohol. These clients do not want to hear this ineffective and inaccurate statement from their treatment provider. Any trained clinician knows that it can be almost impossible for a client to stop using without tools, treatment, or support. This is a common barrier to addiction counseling because some providers don’t take insurance, Medicaid, Medicare, or other health care coverage plans. Many clients are wanting to use their health benefits to pay for addiction services but may not have insurance coverage, or the provider doesn’t accept their plan. Often, a client’s decision to enter counseling or an addiction treatment facility is due to cost. If you google ‘addiction treatment centers’ Google will produce 339,000,000 results in a few seconds. With all of these options, the client often struggles to choose the best addiction recovery center for their needs. This common barrier to choosing the right treatment can lead many clients to remain stuck and not seeking treatment. This barrier keeps many individuals from seeking addiction services. The stigma that follows those who struggle with addiction leads to more shame and guilt which prevents individuals from achieving sobriety. From the thought that addicts are worthless, beyond hope, or could stop if they wanted to, is a barrier to substance abuse treatment for many. There are many obstacles that clients face when they are seeking addiction counseling. As a clinician continue to work to ensure that you aren’t actively causing any barriers that may prevent a client from opening up and talking about their substance use. Explore how you can improve your addiction treatment plans, mental health treatment plans, and the different types of treatment options you provide.